DRDO Chairman Dr G Satheesh Reddy on Thursday put to rest speculations over the initiation of Mission Shakti and said the A-SAT missile project was greenlit by the Modi government. New Delhi: A day after Prime Minister in a national broadcast informed India and the world alike that we are now placed in the league of space superpowers by successfully testing A-SAT, an anti-satellite missile, DRDO chairman Dr G Satheesh Reddy said that the project was approved only two years ago. The DRDO chairman also said that about 100 scientists worked round the clock in the last six months when the A-SAT missile programme entered the ‘mission mode’ to reach the target launch date. A-SAT, an indigenously made anti-satellite weapon struck down a satellite in the Low Earth Orbit on Tuesday, hallmarking another feat to the credit of the Indian space research ecosystem. It was launched at approximately 11:16 AM from Odisha’s Balasore area, and within three minutes of launch it hit the intended target and demolished it at roughly 300km from the earth’s surface. 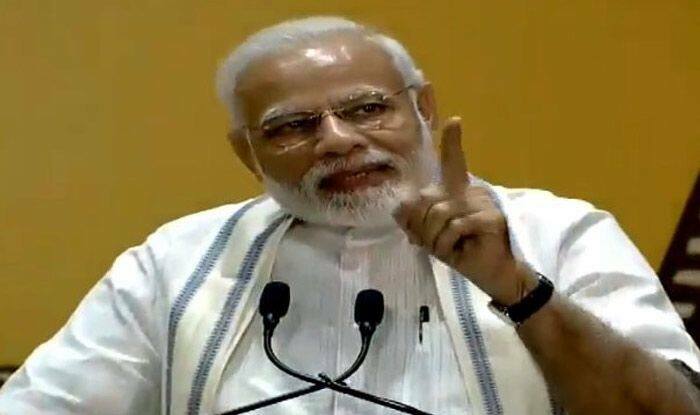 “Some time ago, our scientists shot down a live satellite 300 km away in space in Low Earth Orbit… it was conducted under Mission Shakti, which was completed in three minutes,” PM Modi had said in his 10-minute televised address. This sort of missile technology enables a nation to distruct an enemy satellite, thereby crippling their communication networks. The feat has put India at par with the United States, Russia and China.